The Cathaoirleach of the Listowel Municipal District, Cllr Aoife Thornton, has congratulated Listowel on being named Ireland’s Tidiest Town for 2018. The news has been greeted with great joy in Listowel and all parts of Kerry today. 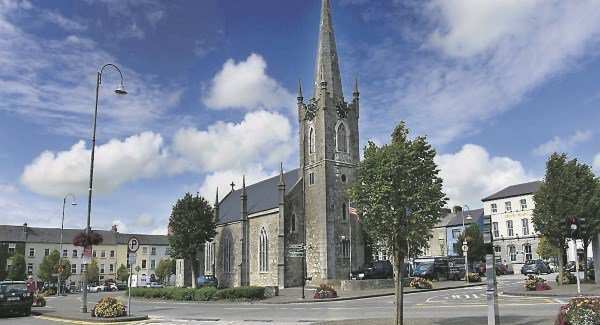 Listowel also won the title of Ireland’s Tidiest Small Town for 2018. ‘This is absolutely wonderful news for Listowel. So much effort has gone into achieving this result and immense credit is due to the dedicated volunteers who work tirelessly to keep Listowel looking its best. In particular, I want to warmly congratulate Julie Gleeson and her diligent committee who warmly deserve this wonderful honour. ‘Listowel is a special and vibrant town with a proud history and heritage which is known the world over for literature, racing, fashion and friendliness. It is also now rightly recognised as a town with a commitment to cleanliness, tidiness and environmental sustainability. Listowel this year celebrates 25 years of Tidy Towns locally so this is a fitting honour on this important milestone. It also comes following success at a national level in the competition in 2015 and 2016 when Listowel was named Ireland’s Tidiest Small Town. The town has also excelled in the Community in Bloom international competition and has won a Green Flag for its environmental initiatives. Echoing the congratulation of Cllr Thornton, the Cathaoirleach of Kerry County Council, Cllr Norma Foley, and Chief Executive, Moira Murrell said that Listowel was well-deserving of this national honour and they expressed their good wishes to every member of the local Tidy Towns Committee.